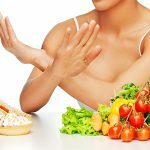 The no bread diet: what is it? Losing weight does not only depend on the specific foods you consume or don’t consume; instead, it also relies entirely on the overall calorie intake per day. Reduced calorie intake can be achieved by cutting back on bread products. 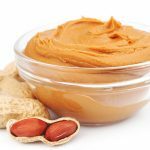 This surely would not work if you are looking to accommodate a 3 day peanut butter diet. 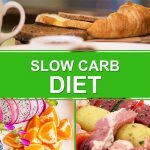 However, how fast you lose your weight depends upon the foods that you consume instead of bread as they need to be free of carbs or low in carbs too! Such kind of diet is referred to as no bread diet that limits the intake of carbs present in bread, pasta, and other cereal grains. Many people are based on low carb diets, these opt for a high protein diet for weight loss. No-bread diet lacks bread, chapatti, rice, etc. and is usually high in protein and fat obtained from meat and vegetables which is quite helpful in weight loss. Weight loss is related to a change in your calorie equation, i.e., the number of calories you consume must be less than those you burn. If you are consuming 6-10 slices of whole wheat bread a day, then cutting them all out of your diet can help you lose 1-1 ½ lbs a week. You can also check about what is a Grain free diet. This can only be helpful to those who eat bread with every meal and can cut down it to lose weight. However, those who already eat one slice of bread a day, cutting down bread will take about five weeks to lose a pound. I mean, how simple can life be without bread? 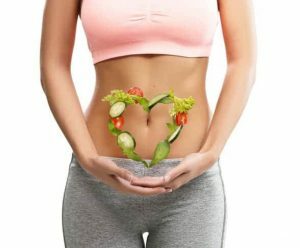 If you want to go on a no-bread system, you can still follow it along with a raw vegan diet before and after or even a vegetarian diet to lose weight. When you are planning to cut down bread from your diet to lose weight, you must be first aware of the number of calories obtained from bread you eat which vary greatly. For example, a slice of whole wheat bread provides 81 calories; an English muffin offers 129 calories whereas 170 calories in a whole wheat pita. Reading the food labels can help you get an idea of the total calories. 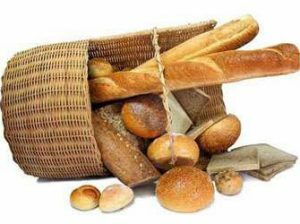 Bread and bread products are not only the source of carbs rather they are also present in pasta, rice, milk, peas, and fruits, etc. which should be kept in mind while planning a diet plan. Therefore, while cutting down bread from your diet, make sure to replace it with low calorie yet nutritious foods such as fruits and vegetables. For example, if your breakfast includes an egg and bread then replace bread with any fruit. Similarly, replacing two bread slices with 1 cup of fruits can be helpful in losing weight. You can also take a look at the salad diet plan. Although sliced bread, bagels, rolls, muffins are rich in nutrients like B Vitamins and iron, they also provide an increased number of calories which should be cut down to lose weight. Eliminating only bread toast in breakfast won’t help much; rather reducing the intake of breads throughout the day helps you lose calories in your diet thus helping you in losing weight. No bread diet consists of meat, eggs, fish, vegetables, natural fats such as butter. Are you looking for the best options to be eaten? What can you eat instead of pasta and bread? Here are the guidelines about what to eat. Eggs- in any form like boiled, fried, scrambled, omelet. 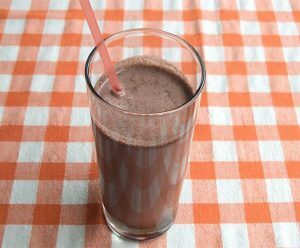 Dairy products: Whole milk, high-fat yogurt, etc. Don’t add flavors or sugary products. Sauces or salad dressings: Add butter or cream in your salad dressings to make it taste better. Vegetables that do not grow underground: Spinach, Cucumber, onions, cauliflower, broccoli, zucchini, etc. Fish and seafood: Eat fatty fish instead of breaded. Meat: Beef, pork, Poultry, lamb, etc. You can also eat fat or skin over the meat. Fruits such as pears, oranges, apples, etc. Read the nutrition labels of the food items in the grocery stores. Drink more water. You can add flavors too like infused drinks. Black coffee or coffee with a little addition of milk is good for weight loss. Here it is a sample meal plan with many tasty recipes to fit your special diet. Instant pot breakfast casserole *(Recipe mentioned below). You can also have some banana bread. Take a 7-inch diameter casserole dish and grease it with oil. Turn on the sauté function and add avocado oil. Once it starts simmering, add sausages and cook for about four mins until its color changes. Add garlic, broccoli and salt and pepper. Cook for another two mins. Until the broccoli is tender. Transfer this mixture to the baking dish. Take a bowl and beat the eggs and cream together until smoothen. Add the cheese and the spring onion. Add the sausage mixture to the baking dish and cover it with aluminum foil. Add 1 cup of water into the bottom of the instant pot and place the trivet over which place the baking dish and close the lid. Set the timer to cook for 35 mins. Once cooked, release the pressure cooker for about 10 minutes. Remove the dish from the pot. Serve the casserole with thinly sliced avocado and any other toppings. Add all the ingredients in blender jug. Serve it in your favorite glass. Add the tuna in a bowl using a fork cut the chunks into small pieces. Drain the tuna in a mixing bowl. Add the spring onion, celery and basil and lemon juice into the bowl. Mix all the ingredients properly using a fork. Add a little olive oil to moisten the tuna and season it with salt and pepper. Serve it in a classy looking platter. Add the chopped spring onion and chorizo to the bottom of the muffin tin. Beat eggs with the seasonings and pesto. Add cheese and mix it. Pour the mixture over the chopped spring onions and chorizo. Set the time for baking up to 15–20 minutes, according to the size of the muffin tin. With the help of knife in slanting position, cut the beef steak into thin slices. Take a bowl and toss steak slices with 1 tbsp. soy sauce and chopped garlic cloves. Marinade for about 5 minutes. Cut the onion into two halves and thinly slice crosswise. Cut red pepper into ¼ inch thick slices. Take a skillet, heat the oil over medium heat until the oil starts to simmer. Add half of the beef and stir-fry until the color changes for about 1 minute. Transfer it to a plate and repeat the same procedure with the remaining beef without adding more oil. Add one small spoon of oil and wait for it to simmer. Add mushrooms and onion and cover and cook for about 3-4 mins until the color changes. Add the vegetables, ginger, red pepper, water and the remaining soy sauce and garlic to skillet. Cook for 5 to 6 minutes or until vegetables turns a little crispy, stirring occasionally. Turn off the heat and add beef with its juices and serve with sautéed vegetables. 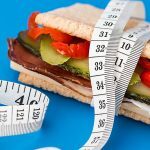 Bread diet plan weight loss: how good is it? Are you wondering how much weight can you lose from this diet? Then, you should be aware of the calories obtained from bread, muffins, etc. Cutting down your calorie intake to 100-500 Kcals together with work out for 30-60 minutes can help you lose weight. If you consume a bread slice in breakfast, a muffin in snacks and another bread slice in dinner, then your calorie intake exceeds by 454 calories. You need to cut down these calories daily to lose 1-1.5 lbs a week. If you fall into the category of overweight, you can quickly and safely lose pounds up to 1.5-2lbs per week by cutting down your calorie intake and burning at least 3000 Kcals weekly through work out. Calculate your calorie requirement using your ideal weight and subtract 500 Kcals from it by following a no-bread diet. 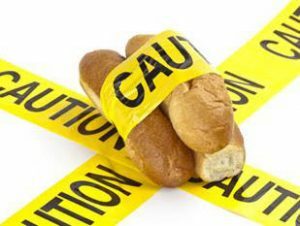 Avoid bread and bread products but include complex carbs in your diet such as brown rice, whole wheat pasta, beans, lentils, etc. that increase your fiber intake and hence increase your satiety value due to which you won’t feel hungry. This system will help you in losing weight. But these foods should only make up to 5-10% carbs from the total Kcals. Meat: Pork, lamb, beef, poultry and others. Fish: Salmon, haddock, trout and many others. Nuts and, seeds: Walnuts, sunflower seeds, Almonds. High fat dairy products: Yogurt, butter, cheese etc. Fats and oils: Olive oil, codfish liver, oil and many more. Sugary drinks like juices, soft drinks, and many others. Gluten-containing products such as pasta and bread. Artificial sweeteners: Saccharin, Aspartame, and Cyclamates. As everything in this world has pros and cons so does the no bead diet! Increased risk of Type 2 diabetes, obesity, and Cardiovascular disease. 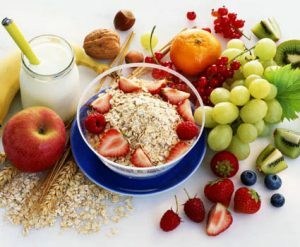 High carbs diet can lead to chronic inflammation leading to problems such as joint pain which can mysteriously go away on cutting down your carbs. This is due to the reason that increased insulin levels in your body can increase production of the C-reactive protein which in turn leads to inflammation. C-reactive protein is the primary indicator of inflammation. Those who are physically active requires a lot of energy which can be obtained by no bread diet. Elevated levels of insulin have detrimental effects on the health of mitochondria which is responsible for providing energy to your body. 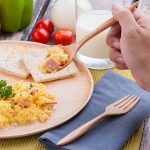 You will have to make a few efforts to lose weight by shopping slightly differently and by spending more time in coking high protein foods that require more time. You will have to cook without adding specific ingredients. You will have to cut down carbs from your favorite dishes. Add a mixture to your diet by adding more colorful vegetables to make your food more appetizing and attractive. Those on no bread diet are at a loss for what to eat which leads to nutritional deficiencies. You can also read more about the Alkaline diet menu. 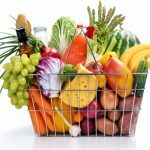 By adding colors to your food basket, you can improve your intake for all the essential nutrients. Therefore, make it a habit of eating different foods daily. This will improve your GI tract performance and prevent free radical formation in your body. Diets are numerous out there, for example, you can opt for the BBG diet plan.